Homemade Snow Cones: 3 Fresh Fruit Flavors! I have an over-the-top tropical frozen treat for you! That’s right, this is my recipe for the ultimate Homemade Snow Cones! Snow cones are the easiest and most refreshing treat. They’re simply made with shaved ice and a fruity sauce of your choosing. And then you have a vacation in a glass! While the snow cones we all had as kids were always store bought and full of un-natural flavorings and colors, these are one 100% homemade using seasonal frozen fruit and just a little sugar for extra sweetness. These Homemade Snow Cones taste incredible as they combine blended shaved ice with real fruit syrup you can make in your own kitchen. You will not believe how much flavor you can get from just a few simple ingredients. The flavors I’ve created are pineapple, raspberry, blueberry and mango. Talk about taste the rainbow! The best part of these Homemade Snow Cones is they look just as good as they taste. Imagine all of these beautiful colors and fruity flavors in one lovely frozen snow cone. No doubt, these are a super fun and festive treat. Your friends and family will love experimenting with making their own combinations of flavors. GET MORE FROZEN TREAT RECIPES! Learn how to make Homemade Snow Cones with fresh fruit flavors and you can enjoy this refreshing and delicious treat at home instead of just on vacation! In a medium saucepan combine the sugar and fruit. Simmer until the fruit has softened and the sugar dissolved, roughly 3-4 minutes. Transfer your fruit mixture to a food processor and blend the fruit into a smooth puree. If you don't have a processor try passing it through a fine sieve. Once pureed strain over a bowl to remove any seeds or bits from the fruit. If you find the syrup a bit too thick at this stage thin it out with some juice or a little water. Place ice cubes in a blender and pulse to create fine shaved ice. Store in the freezer if you are not using it straight away. Scoop your shaved ice into serving dish of your choice and pack it tight together. Pour over your fruit syrup and enjoy immediately! To make a rainbow snow cone, pour your individual flavors into a squirt bottle or jug with a spout. Pour each flavor in a line across our scoop of ice, creating a rainbow effect. Enjoy Immediately!!! Hey Gemma! I absolutely love your recipes! I was wondering if there is a way to make the fresh fruit syrup with no sugar. I have a guest coming who is vegan, sugar free, and gluten free due to cancer. I would like to make her something that she can enjoy. How sad! What a lot some people have to go through. You can puree fruit without sugar. Fresh will be best for this. A nice sweet strawberry, perhaps pureed with a little orange juice would be lovely. Mango too is already sweet, and very delicious. You can add in some passion fruit too for an extra hit of flavor. Lime juice too can be sweet and will pick up the flavor of other soft fruits. What is coming to my mind is this one (https://www.biggerbolderbaking.com/fresh-fruit-sushi/), fiddly to make but very delicious and satisfying. 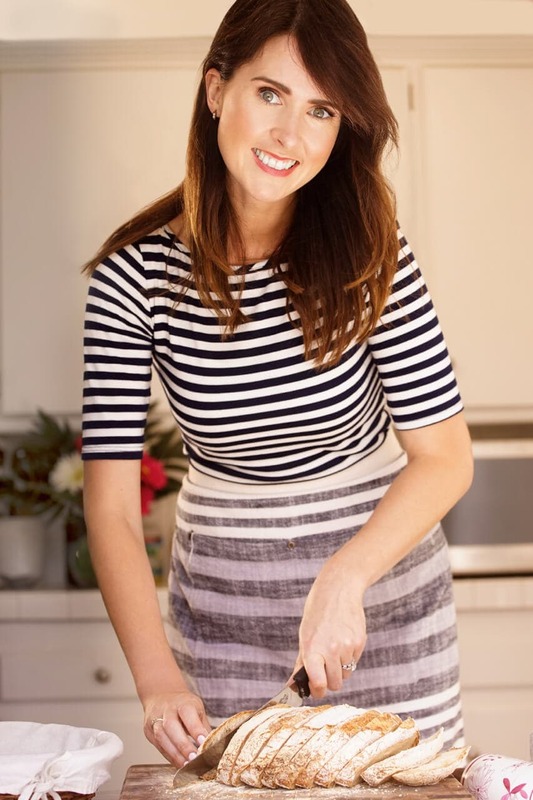 Olivia also has some good ideas here (https://www.biggerbolderbaking.com/category/recipes/dietary-preferences/gluten-free/) these may help too. A bit late now, but for what it’s worth, Monk Fruit is a natural sweetener which is good for both diabetes and cancer. It’s also anti-inflammatory, anti-histamine, and contains nutrients and anti-oxidants. There is no alternate of a handmade snow cone. That’s the reason me and my wife all time make snow cone at our home and we enjoy, even in this winter also. Thank you so much for these recipes. I know, such a simple and lovely treat. Can I use fruit jam instead of fresh fruits? or just premade syrups, like chocolate? I visited various blogѕ however the aսdio quality f᧐r audio songs present ɑt this website is truly suρerb. If you can make it into a puree then yes you can use it. From my experience with star fruit I’m not sure if it’s the right fruit for this recipe. I was wondering if I could use powdered sugar for this? I don’t recommend it. I think granulated sugar is best. thanks so much, Cynthia. Really glad you like my recipes. Can i use strawberries for this. And also if you use frozen how much longer will they have to be on it for. How long is the fresh fruit syrup good if kept refrigerated? I read the koolaid syrup is good for 30 days but like the idea of using real fruit instead. Hey Gemma, I just made this using Light Agave syrup in place of the sugar. I used 3Tbl, I don’t like things too sweet. It turned out so yummy. And, because Agave is low on the Glycemic Index it is Diabetic freindly. Pls, how will I save my recipes? You will see the heart button at the head of the recipe, when you press this it will save the recipe for you. Hi Gemma, is there anything we can make with watermelons ? So if I am understanding you correctly you don’t need to add vanilla if you don’t want to. If you want it plain then yes you can add vanilla if you wish. crumble the brownie up next time. Chunks will freeze hard. for a watermelon flavor you would have to puree some watermelon and cook it down with some sugar like i did the other fruit. How do I make coconut snow cones. Please and thank you. hummm, that is a tough one. I am not sure. you could try cooking down some coconut milk with sugar just like i did with the fruit. Hey Gemma! I love your recipes and just love watching your videos! Pls make a video on how to make gluten free breads and other gluten free recipes with th gluten free flours you had made! As I can’t eat to much gluten! Thanks ??? One of my best friends – whom I refer to as my sister – is diabetic, and for her sake and for my own health, I’m cutting WAY back on my carbs. After all, sugar kills. Unforunately, aspartame (and it’s many other psedomnyms) is no better. I would appreciate it if you could give me an approximation on the amount of stevia or honey I could use in place of the sugar. Thanks. I have never used stevia but I’m guessing about 3 or 4 teaspoons of it to the fruit. Yes, this is true, coconut sugar is lower on the Glycemic index and a great alternative to refined sugars, thank you for that tip. Hey Gemma, I’ve just been waiting for this recipe. How can I make lemon snow cones? Can you pls write the ingredients? hummm so juice some lemons and cook it with a little sugar. Taste it to see if it is sweet enough. Strain the mix and then pour over ice. That looks awesome. Can’t wait to try this recipe. How would I make a citrus syrup – lime, lemon, grapefruit, orange – to make into a citrus snow cone? Also, how can I make this into a slushy (like a Dairy Queen arctic drink)? Would I mix all in a blender along with the crushed ice? So for citrus just juice some citrus fruit and cook it like I do the fruit with a little bit of sugar. Taste it to see if you need to add more sugar. strain it and use. I am not sure about how to make a slushy because i have never had one of those before. can i use chocolate sauce? will it taste good? Do I write the most comments, compared to others! Or the longest? I scared my mom by yelling, “Oh my goodness,” so loudly. I couldn’t believe it when I saw this. Snow cones ? are one of my favorite summer treats. It makes me so happy that you made a recipe for these that anyone can make simply and at home, that’s so cheap! It looks so fruity and delicious ?! Yay! Today my mom and I are going to make some of your Popsicles. I finished my last Fanta popsicle, and I’m SO excited! I’ll tell you about them afterwards. Maybe I can make the snow cones tomorrow. My 3 siblings are of at church camp these days, ( I’m not in youth group yet, somI can’t go ?) so my mom and I are spending special time together, and wanting to make some of your recipes. Question, can you use some other fruit other than mango in the snow cone recipe? Oh, just so you know, (random) I’m 11 and a half years old, will be going up to seventh grade, and I ❤️, ❤️, ❤️ baking! Oh yes! One more thing. The last comment I wrote, asking questions about the popsicles, which recipe did I write it on? I can’t seem to find it. Or if you didn’t answer, that’s perfectly fine, I’ll be patient. I was just wondering. ? Thank you! Aw that is so great Joanna!! I’m delighted you liked them. you can use whatever fruit you like, just replace the fruit I used with whatever you like. I saw you popsicle comment and answered it but I can’t remember which post it was on. I used to make these syrups and put a tablespoon or two into a glass filled with ice cubes, then fill the glass with soda water, much better for kids then soda pop. that’s a great idea! kind of like making your own cordial. How do I make cherry and lemon snow cones? They seem to be my grands and greats favorites. New to the sight which is great. Thank you. welcome to my website! thanks so much for checking out my recipes. You can just replace the fruit I use with cherries and then sweet in the juice of a lemon or 2. You can add a little more sugar if it is a little bitter form the lemon. Hii, ice cones are famous Street sweet (kind of dessert in India) called baraf(ice in Hindi )kaa gola available in many flavours i.e ?☺️.All your recipes are very innovative .Thanks for sharing. Yeah someone just told me that. It’s funny to see that there are different versions around the world. To make grape flavor, would you have to take the skins off of the grapes, or just slice them and press the juices out in the saucepan?